Glendia Faye Powell was born on March 30, 1943 to Robert and Frances Jenkins in Gasden, Alabama. She accepted Christ at an early age at Mt. Calvary Baptist Church in Birmingham, Alabama. Glendia received her early education in the Gadsden, Alabama School System and graduated from Carver High School in Birmingham, Alabama. She met and married Donald Powell and to this union four children were born: Reginald Powell, Ronald Powell, Demetrius Powell and Latonya Powell. 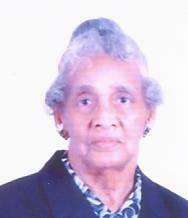 Glendia was a loving, dedicated wife and mother. She departed this life on September 8, 2018. She was preceded in death by her parents, Robert and frances Jenkins; a sister, Jacquelyn Richardson; four brothers, Bobby Jenkins, luis Jenkins, John Jenkins and Earnest Jenkins. Glendia Faye Powell leaves to cherish her memory: her children, Reginald (Val), Ronald, Demetrius (Rillie) and Latonya (Kenneth); grandchildren, LaQuita Powell, who gives five great grandchildren; Rico Pennyamon, who gives two great grandchildren; Lavor Powell, who gives five great grandchildren; Brittney Powell, Nikisha Ikea Powell, Reginald Powell, who gives three great grandchildren; Xavier Powell, who gives three great grandchildren; Ashley Smith, Montez Spain, who gives one great grandchild; Anthony Powell and Devonta Mitchell; a sister, Betty Ballard of Dallas, texas; two brothers, Jimmy R. Jenkins (Gale) of Birmingham, Alabama and Phillip Jenkins (Pearlie) of Rockwall, Texas; a host of nieces, nephews, cousins, other relatives and friends.